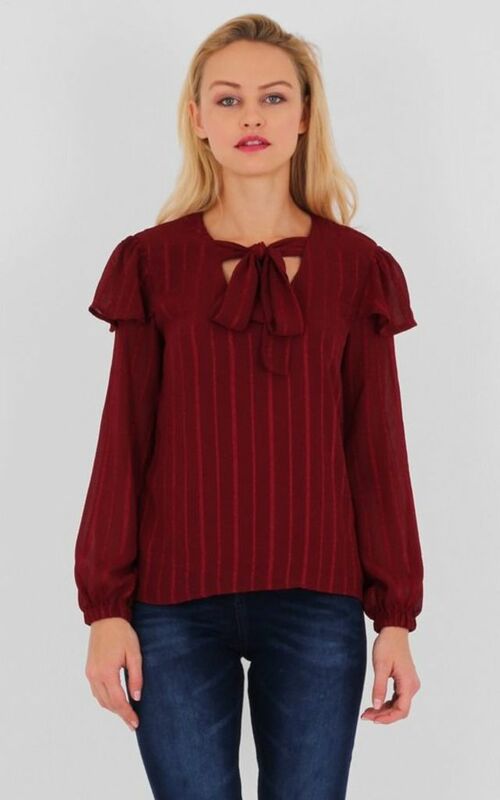 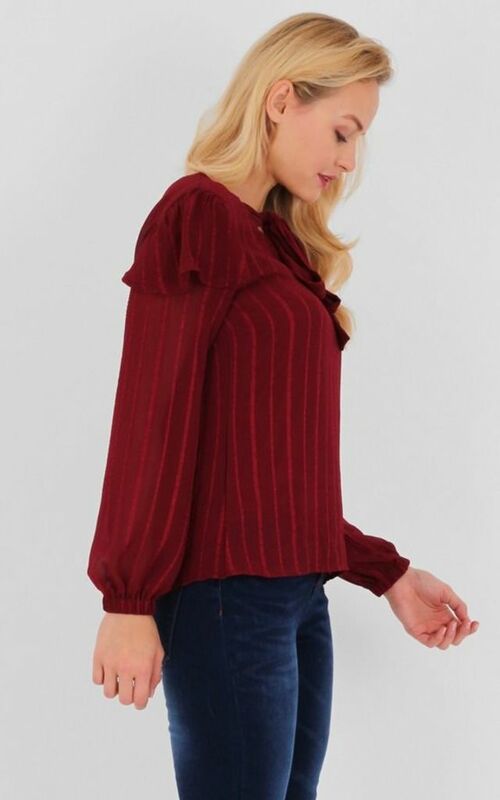 Bow tie neck blouse featuring long ballon sleeves, shoulder frill detail and strappy chiffon fabric.Fully lined for added quality and comfort. 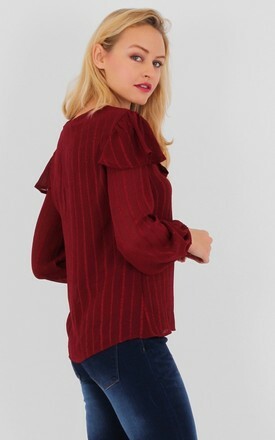 Tuck it into flared pants or jeans. Sleeves Length: 60 cm/ 23.6"